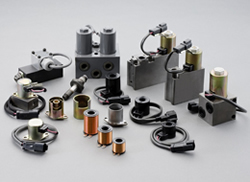 We provide various types of solenoid valves to suit every need. • We can design valves per requirement specifications. which also prevents age hardening cracking. • Integrated production, from coil wire to molding. • We offer competitive costs thanks to our globalized production system. * These products is sold directly from Takako Industries, Inc.